Thomas Willeford, of Brute Force Studios, is a giant among makers in the steampunk community. 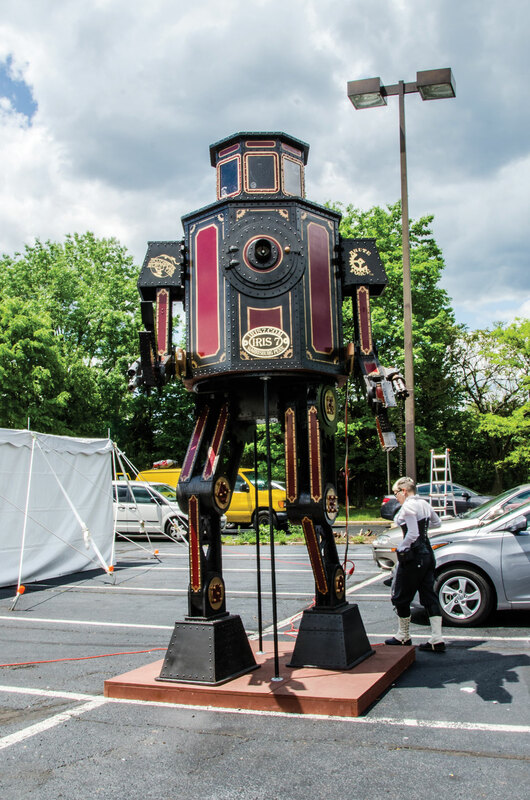 When Jeff Mach, organizer of the Steampunk World’s Fair, wanted a giant robot, he enlisted Willeford to create it. Over 15 feet high and more than 1,000 pounds, the robot is constructed of ¾-inch plywood sheathed in Masonite. It is finished with furniture tacks and painted to look like riveted metal. Though unmanned, the torso is big enough to fit a person inside, and the shoulders, elbows, and wrists are poseable. It took 45 12-hour days to build, with 17 people assisting at one time or another. 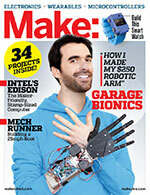 “I intended the robot to be a symbol of how creative steampunk can be,” says Mach. He also wants to support cancer awareness in the steampunk community. A plaque on the robot is dedicated to “Hearts of Steel,” listing, among others, CJ Henderson, a writer and editor of steampunk literature who recently lost his battle with cancer.